However China explains its claimed peaceful rise, it will still be viewed by a number of major actors in world politics as a revisionist power that intends to change the U.S.-led status quo, starting with the East Asian region. As a newcomer to the dominant system, China has spent more than three decades learning and growing, especially utilizing resources from the Western world that range from capital investments to advanced management knowledge and skills. At the same time, China has been extremely vigilant when it comes to the issues that inherently determine China’s uniqueness: in general, China has emerged while keeping its own political and ideological characteristics. Interestingly, a swiftly-democratized Russia was invited to G7 while China, the world’s second largest economy, is still kept out of G8. Nick Butler of The Financial Times describes the absence of China in the G8 as “a self defeating exclusion.” As an important player in G20, though, China never stopped its rapid emergence, particularly in East Asia. As China gains in global and particularly regional influence, a complex diplomatic issue has emerged. In the midst of enduring disputes in the East China Sea, a Chinese version of an ADIZ has been viewed as an example of its assertiveness, particularly by the U.S. and its key ally Japan, both of which have disparaged China’s action. For now, China needs to deal with its stand-off with Japan and its engagement with the U.S. at the same time. There’s a good chance that China may face a stronger U.S.-Japan alliance even as it endeavors to build a new type of great power relations with the United States. The suggested “new type of great power relations” will be an equal relationship between great powers – at least Beijing intends it to be. Although a rising China does not intend to truly challenge U.S. leadership in the near future, their differences and the subsequent distrust inevitably urge these two giants to consider the possibility of a peaceful co-existence. But there is a structural limit — the U.S. naturally would not allow such a new relationship to be constructed outside the current power structure in which the U.S. leadership prevails. Hence, the new U.S.-China relationship would be a compromise within the pyramid structure rather than an equal share of global dominance. It is notable that the U.S., in terms of national power, still wins out over China in almost every aspect. The differences between the White House and the U.S. Congress could be another variable. The Taiwan Relations Act enacted in 1979 may best explain how the U.S. government and Congress occasionally react differently toward a communist China. The U.S. Congress simply rejected Jimmy Carter’s draft and replaced it with contents that have had great impacts on Sino-U.S. relations ever since. Congressional reactions could continue to throw a wrench into U.S.-China relations. A new type of great power relations is surely welcomed by both the U.S. and China to avoid strategic misperceptions and the possibility of subsequent conflict. However, the concept should not be overestimated in the short term, however much China may wish it to play a role in its stand-off with Japan. For the U.S. and Japan, strengthening mutual commitment and trust is much more natural and probable than doing the same between Washington and Beijing. Strengthening U.S-Japan ties would not only help deter a Chinese challenge to U.S. dominance in the region, but also would hopefully ease worries of long-term Japanese challenges or threats to the United States’ own interests. Glen Snyder’s alliance dilemma indicates that “the greater one’s dependence on the alliance and the stronger one’s commitment to the ally, the higher the risk of entrapment.” However, in the increasingly unbalanced East Asian region an orthodox anarchy still exists. 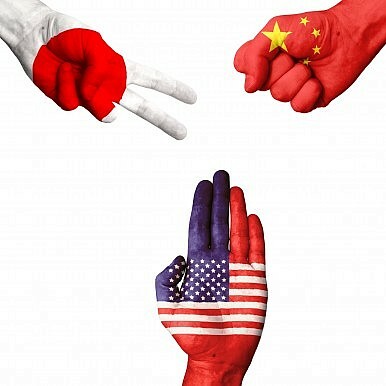 Under these circumstances, it could be more urgent and practically more profitable for the U.S. to strengthen its alliance relations with Japan and to further ensure a mutual commitment, rather than to seek an instant strategic trust and a total reconciliation with China. As Brahma Chellaney wrote in a piece for Japan Times, Japan “will find itself increasingly buffeted by developments in the U.S.-China relationship.” Accordingly, Japan might try to seek more independently-secured national interests, encouraging the U.S. to make more efforts to keep its alliance with Japan solid, stable, and (more importantly) steerable.